You may already be aware that opening a certificate of deposit account in credit unions may significantly yield higher interest rates than conventional banks. This is because both differ in their offering policies. Banks generally take higher risks in the money market game, and this is why they tend to hold on more to your money. Credit unions are generally smaller, and they are only able to use your money for other members of the union as well. Thus, they generate higher interest rates. If you’re thinking about opening a new certificate of deposit account in a credit union, you might as well go for the institution that offers competitive rates. One such lending institution you can go to is Montauk Credit Union. Currently, they offer a 1.00% growth on your 1-year CD term. As with other CD services, you can get to choose the type of CD offering. This means you can go either short-term, such as 12 months, or long-term leading up to 7 years. The APY rates for each term, is of course variable. An 18-month CD yields 1.25% APY, while for a 2-year CD, you get 1.50% APY. For the 3-year, 4-year, and 5-year agreement, you have the following rates in respective order: 1.75%, 2.25%, and 2.50%. Its highest rate offering is at 2.75%, which comes upon opening a 7-year CD account. Although Montauk Credit Union currently does not lead the CD rates pack, its rates are competitive nonetheless. If we take a look at Melrose Credit Union’s 1-year CD, it has an APY of 1.10%. Another well-credited company is First Jersey Credit Union’s 1.005% APY for the same term. Clearly, Montauk isn’t far behind, and you can still get high return for your money. To start your account, it is important to maintain a minimum balance and initial deposit of $50,000. Allow your money to grow for the specified period of time, and you’ll be getting more than what you’ve paid for. Once you decide to open an account with Montauk, you are first assigned a savings account. Membership is for free, but you will be required an initial deposit of $25 in your savings account. After this, you can then proceed to opening your CD account. Montauk Credit Union is primarily base din New York, but it offers membership to anyone, with its “open charter” policy. This allows them to greatly expand their services, giving their consumers more value and greater access when it comes to growing their money. Credit unions, because of the way their system works, can usually offer their depositors higher interest rates and lower mortgage payments. One of the credit unions that consistently gives competitive rates is Melrose Credit Union. During the economic dip last August, Melrose Credit Union provided some of the best rates nationally available for certificates of deposit. Until today, the credit union still offers some aggressive rates. Melrose offers some of the highest long term CDs. The highest nationally available among banks for a 5 year CD is from iGobanking.com at 2.25% APY. Despite this rate already being high, Melrose still tops it with a 2.68% APY rate. The same also rings true for a 3 year CD, the highest nationally available is still from iGobanking.com at 1.70%, but Melrose gives it at 1.91%. Melrose also offers a higher 2 year CD than the bank’s highest at 1.30% from CIT Bank and Alostar Bank of Commerce. The credit union has been in service since 1922, and today it has grown to accommodate 20,000 customers with over $1 billion in deposits. Melrose Credit Union is the 10th largest credit union in the state of New York, and is the 99th largest credit union in the nation. It is federally insured under the National Credit Union Share Insurance Fund (NCUSIF), to at least $250,000 per account by the National Credit Union Administration (NCUA). Despite having its roots in New York, Melrose Credit Union has an open state New York Charter meaning membership is open to anyone. Regardless of where you live or work, anyone can be a member to this credit union. In order to be member, there is a $1.00 membership fee and a minimum deposit of $25.00. individuals must provide the following requirements: a valid photo id such as Driver’s License, proof of address, and social security number. Melrose Credit Union has consistently given out great rates, and it doesn’t look like these good rates are going to end soon. And with open membership for all, anyone can avail of the potential earnings that Melrose CDs can offer. CD rates in 2011 have all been but annoying for those looking for a safe haven to invest their money. Since CDs are FDIC insured, they are a safe place invest your money, but with such low interest rates, many have wondered if its really worth placing their money in a locked up investment. More frustration comes with little glimmers of hope as interest rates bounce around their all time lows. Some financial institutions offer an increase in interest, but soon after cut their rates back down to record low levels. Even credit unions, who only open their doors to specific crowds, tend to have the best interest rates, but they make it nearly impossible for the average saver to cash in on their rates. The Federal Reserve Chairman Ben Bernanke stated that interest rates would stay at their record low levels until at least mid-2013, giving almost no hope for an increase in what savers might earn off their money. Even though this is good news for people who can buy houses and cars, this is bad news for investors and savers alike. Where are the best CD rates found in 2011? If you are looking for the best CD rates of 2011, your best bet would be to look at smaller financial institutions, online banks or credit unions. Don’t bother with going to your local Bank of America branch, Wells Fargo or Chase Bank as these banks offer some of the lowest interest rates on the market. There are exceptions to big financial institutions offering higher CD rates, such as Discover Bank which has a 1.15% APY on their 12 Month CD. Interest rates can change at a moments notice and while some banks and credit unions offer the best CD rates one day, those rates might have been a promotional rate that has recently expired. Since rates have been bouncing around throughout 2011, be sure to refer to our CD rates page for the most up to date rates. AloStar Bank of Commerce has a 6 month CD rate of 1.05% APY with a minimum deposit of $1,000. AloStar Bank of Commerce has a 12 month CD rate of 1.21% APY with a minimum deposit of $1,000. — Connexus Credit Union has a 12 month CD rate of 1.50% APY with a minimum deposit of $10,000, otherwise with a minimum deposit of $500 you get their 0.75% APY. MainStreet Bank has a 24 Month CD rate of 1.50% APY (the same as Connexus Credit Union’s 12 Month CD), with a minimum deposit of $500. MainStreet Bank and Melrose Credit Union have a 24 Month CD rate of 1.90% APY with a minimum deposit of $500 and $5,000. Melrose Credit Union has a 60 Month CD rate of 2.68% APY with a minimum deposit of $5,000. Back in April 2011 the best 60 month CD rate was from PEF Federal Credit Union in Ohio at a rate of 3.29% APY. As you can see rates are still dropping from earlier in the year. The financial institutions listed here are available to anyone nationally either by opening an account over the phone or through their website. Be sure to visit our CD rates page for the most up to date rate information. This past week we have seen the Dow move up and down, but ending the week down 450 points. Many banks have cut their CD rates but overall the top CD rate leaders have held steady. The biggest drops come from a major Credit Union – Melrose. Melrose has consistently kept their rates higher than any other major nationwide bank, but since August 8th they have cut their rates down by about a quarter percent. Overall the best CD rates have held steady, but we suspect another drop is coming. Connexus Credit Union was also offering some of the highest CD rates, even higher than Melrose Credit Union but have since dropped their rates also. 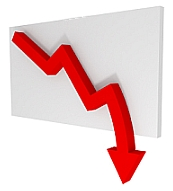 12 month CD rate of 1.50%, which is down from 1.75% on August 10th. 60 month CD rate of 2.50%, which is down from 3.00% on August 10th. With these lowered rates, this puts Melrose back in the lead with the best CD rates you will find on the market. Even thought they are a Credit Union, anyone can join as long as you meet a few requirements such as opening an account and funding a savings account. They also have a minimum deposit of $5,000, which might be a little high for the average saver. Be sure to check out our CD rates page for the most up to date rate information. CD rates can change at a moments notice so be sure to check with the financial institution about their current rates before investing. Before we start talking about Credit Unions we did want to report that MainStreet Bank still has a great rate on their 36 Month CD at 2.00% APY. You have to go through their airbanking.com website and act like you are signing up as a new member to view their CD rates. Time and time again we have seen credit unions beat out the big banks on the rates they offer for not only savings accounts but also certificates of deposits. Most Credit Unions are out of reach of the average person or they have strict membership requirements, one of the many reasons why they can offer higher rates. Right now Melrose Credit Union has held the top spot for most of the popular CDs, but Connexus Credit Union has higher rates for the 12 month and 60 month CDs. having at least 1 Direct Deposit of net pay, including salary, wages, government benefits or pension made to the account each month. Have 10 checks, ACH withdrawals and/or signature debit card transactions clear the account by the last business day of each month, and electing to receive eStatements. We asked how much checks cost and were told for a box of 150 checks the cost was $14.76. Connexus Credit Union is located in Wausau Wisconsin. Connexus has a minimum deposit of $10,000 to receive their highest rates. For balances under $10,000 you will lose about 0.50% APY. The national averages for both the 12 Month CD stands at 0.43% and 60 Month CD at 1.53% as stated by the FDIC. The bank offering the highest 12 month CD is AloStar Bank of Commerce at 1.27% and the bank offering the highest 60 month CD is First Internet Bank of Indiana at 2.40% APY. It might be worth going through some of the hurdles at your local credit union to get the higher CD rate. Some credit unions, such as those listed here are open to anyone, anywhere within the United States and have few restrictions. You can always find the best CD rates by going through our database of banks on our CD rates page. CD Rates Hold Steady, But For How Long? Today the Dow dropped 634 points or down 5.55% to 10,809. This is the lowest the Dow has been since 2008 and comes after the week of the US debt ceiling hike and downgrade of the US debt from AAA to AA+ by S&P. Today a few banks have already lowered their rates on short and long term certificates of deposits. The bright spot is, those banks were not offering any of the top CD rates, so who really cares or knows. The current list of the top CD rates has held steady… well so far. When you find a big gap between the first and second place holders of any CD rate, usually you will see a decrease coming from the top holder. As you can see most banks are being competitive in the rates they offer. The biggest gaps in rates are between the 36 Month CD and the 48 Month CD, which could mean these rates will be adjusted at any time. You can find MainStreet Bank’s CD here. For all of our best CD rates, be sure to visit our CD Rates page. Who Is Offering The Highest CD Rates? If you are looking for the highest CD rates being offered today, you won’t find them at your local bank or at any major bank. Most of the highest CD rates are being offered at local credit unions. This makes it almost impossible for the average investor to get ahold of these rates. Reason being, you have to be a member of the credit union offering the rate. Most Credit Unions only allow specific people to join their union, whether it be school teachers, military personnel and family members or employers of major companies. Not only do you have to be a member but also most of the time you have to fulfill a list of requirements to be a member. These CD rates are higher than what you will find at any major bank. One year ago we posted these rates from Melrose, which you can see have dropped about one half of a percentage point. To get into the Melrose Credit Union you have to fill out the registration form and pay $1. Once accepted you can then deposit the minimum of $5,000 to start earning the highest rates being offered today. Your earning will be compounded quarterly and if you decide to withdraw your money early, you will end up paying an early withdrawal penalty. There are other credit unions offering decent CD rates but some will be harder to get into. Some have higher requirements, such as having a specific number of transactions each month using a debit card or having a direct deposit set up to your account. If you do not mind these little hassles then it’s probably better to go with a Credit Union than with a bank for investing in CDs right now. 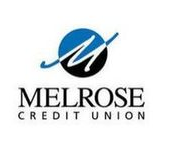 Melrose is also NCUA insured (this is the Credit Union’s FDIC insurance). CD Rates Continue Their Slide Down, But For How Long? 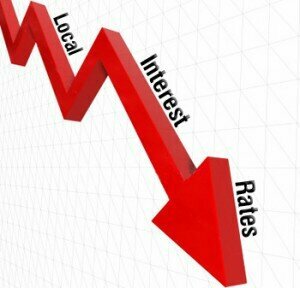 Over the past few years interest rates have fallen to record lows. Low interest rates are good if you are in the market to buy a house, refinance your current mortgage or car loan, but for most of us we have seen our interest rates increase on our credit cards (Thank you CitiCards for the increased rate from 14% to 29.99%, even though I have perfect credit and never missed a payment) and our interest rates fall on our certificate of deposits, to record lows. 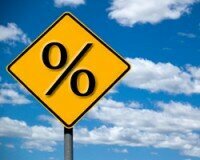 By taking a look back just a few months we can see that interest rates are still falling. We reported on February 22, 2011 that Walden Savings Bank had a 6 Month CD at 0.75% with a minimum deposit of $1,000. That same certificate of deposit sits at 0.60% for the 6 Month term. We also reported on April 6th, 2011 that Aurora Bank had the current best 1 year CD rate at 1.25%. Now just over two months later that same CD from Aurora is down to 1.21%. Even the longer term CD’s are seeing drops in interest rates. The 24 Month CD from SalemFive ($10,000 minimum deposit) has dropped from 1.75% on February 21st 2011 to 1.30% on June 23rd 2011. Most major banks have been lowering their rates, while many credit unions such as Melrose Credit Union out of New York has held their rates steady for the most part. Melrose’s 2 year CD has been at 1.66% APY since February. In fact Melrose holds the top spot for the 24 month CD at 1.66% with a minimum deposit of $5,000. This is a credit union that has opened its door’s to anyone located within the USA. You will want to visit their website to view their terms and conditions for opening an account. Thus far CD rates have fallen throughout the year, while some have held steady. If you plan on investing money into any CD, its best to research as much as you can before making a decision on which bank and term to go with. 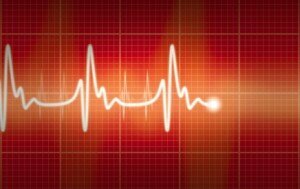 You can easily find a list of the best CD rates from our CD Rate table for your research. In an unstable economy, rates can continue to fall, so it could be wise to put your money in a higher interest, longer term CD or it could be just as bad to be stuck in a CD with a low interest rate while CD rates increase. *We cannot make any financial advise and take no responsibility for the actions people take from visiting our website. Please consult your financial advisor before making any investment decisions. Over the past few weeks, CD rates have changed quite a bit. Banks seem to be battling out for the top spots of most of the CD rate terms. This battle between banks isn’t much to write home about, but it’s a positive sign that CD rates might actually go up in 2011. One of the most popular CD terms is the 24 month certificate of deposit which has not moved since Jan. 12, when Salem 5 Bank took over the spot from Melrose Credit Union. The Salem, Mass. based bank offers a rate of 1.75% APY on a minimum deposit of $10,000, kind of high for the average person. These rates are much higher than what the large banks are offering and are much higher than the national average, which is currently sitting at 0.73% APY (24-month term). So if you want the best CD rates then you must look further than your local bank. Be sure you do your research to find the best CD rates, before signing anything at any bank. Melrose Credit Union at 1.66% APY with a minimum deposit of $5,000. Country Bank at 1.65% APY with a minimum deposit of $500. Metropolitan National Bank at 1.60% APY with a minimum deposit of $1,000. Bank of Internet an online based bank at 1.55% APY with a minimum of $1,000. If you find it hard to put $10,000 into a certificate of deposit then there are other great options. By putting extra money into a CD, you can usually get the best rates. Some banks offer lower minimums of $500, but you lose some of your interest. Usually the lost interest rates will not make much of a difference. 5 tenths of a percent will make very little difference. For example, if you put $5,000 into a 24 month CD at a rate of 1.60%, at the end of your term (24 months), you would have made $161.28 profit. Now if you placed the same amount of money into the same CD term, but lowered the rate to 1.55%, your profits would be about $156.20, a difference of $5.08 or 1 coffee! So if you cannot afford to meet the minimums of some of these CDs, then find the next best option, you probably aren’t missing out on much. Be sure you get the best rates from your certificate of deposit by comparing CD rates from our up to date database. This could be the first signs that CD rates will start increasing. One day after Sovereign Bank took the top spot for the 60 month CD term, a California based bank- Kaiser Federal Bank matched the same 3.0% APY. Kaiser Federal Bank raised its rates from 2.75% to 3.0% APY, making it a two way tie for the best available 5 year CD. Kaiser requires a minimum of $10,000, which is much higher than Sovereigns’ minimum of just $500. Be sure to get the best CD rate available by checking out our CD Rates board.